Tim Mages - For the Industry. By the Industry. Tim Mages joined Expansion Capital Group (“ECG”) in early 2016 as CFO. In this role he is responsible for all support and administration at ECG, including capital markets, accounting, HR, Legal & Compliance, and government affairs. 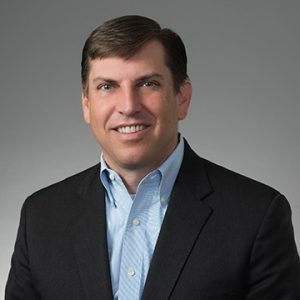 Prior to ECG, Tim worked as an investment banker covering the specialty finance industry and with a Small Business Investment Company (“SBIC”) that provided capital to small businesses as part of the SBA program. While working as an SBIC lender, Tim witnessed first-hand how traditional sources of capital for small businesses were pushed by regulators to either move “up-market” or pursue fundings with significant collateral requirements. ECG, like many other Fintech players, is filling this void. Headquartered in Sioux Falls, South Dakota, Expansion Capital Group has provided approximately $300 million in working capital to small businesses throughout the United States since its founding in 2013. ECG was recently named the 802nd Fastest Growing Private Company in America and the 2nd Fastest in South Dakota by Inc. 5000.